SolidWorks World general session day 3 is typically all about the next feature set in the traditional version of SolidWorks. This year SolidWorks 2015 was the focus and the Product Marketing group performed another skit, as they have since 2007ish, and this year it was a parody of Batman called CADMAN! In addition to this list, Neil Cooke also talked about a few things that would be available for users in 2014 as well. 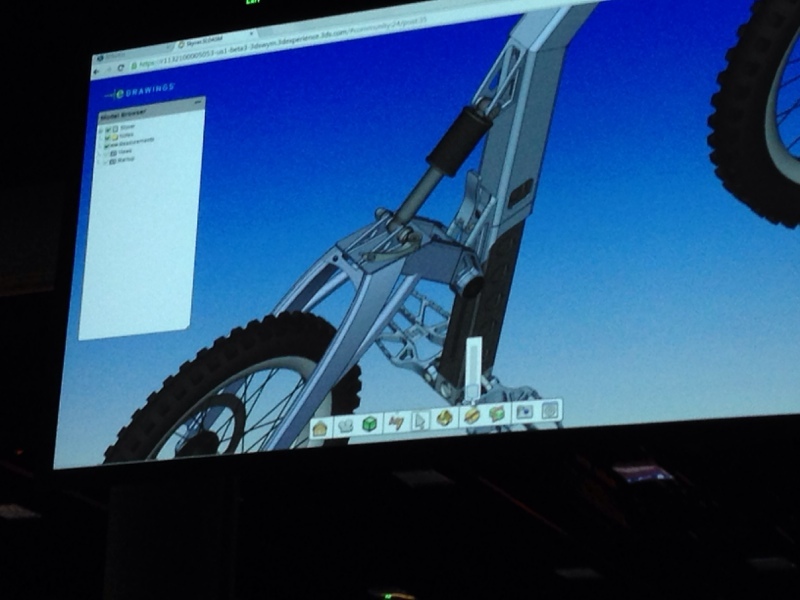 The first was an integrated task pane in SolidWorks, Draftsight and eDrawings to access the 3DExperience communities as well as a new 3DExperience dashboard that will give users a cloud drive that is accessible from SolidWorks, Draftsight, Mechanical Conceptual etc, and allow users to share content to members of their teams. They also show a complete web based version of eDrawings as well.